Kaushalya is currently the Head of Fintech Partnerships & Strategy for the Corporate & Institutional Digital group in HSBC. In this role, she leads the partnership and corporate venturing for HSBC’s core businesses including Global Liquidity and Cash Management, Global Trade and Receivables Finance, Custody and Global Markets. Prior to her current role, Kaushalya served as a director in the HSBC Strategic Innovation Investments team and has led HSBC investments in Fintech companies of strategic importance and the bank’s forays into the world of distributed ledgers. Prior to that, she has undertaken a number of roles across Strategy & Planning, Corporate Development and Group Audit. 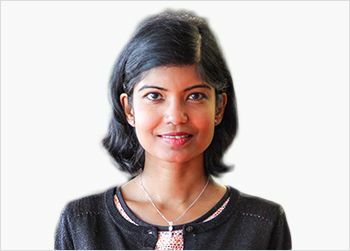 Before joining HSBC, Kaushalya has worked with UBS and PWC. Kaushalya hails from Botswana and holds degrees from Australia prior to moving to the UK in 2002. Kaushalya has been recognised in the Brummell’s 2016 list of the most inspirational women innovators in London.